Yesterday I was in Fernan Caballero, a small village in the Montes Norte region, to help organise an ornithological walking tour. The town council, as part of a program of showing the local people the richness of the flora and fauna right on their doorstep, want to do an excursion at the local Gasset Reservoir. 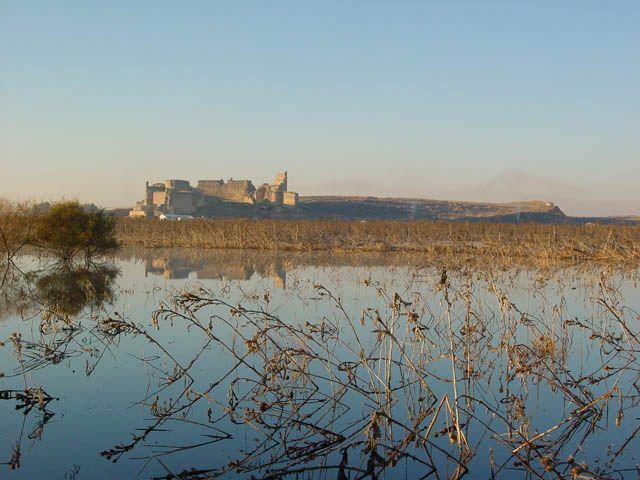 The reservoir is about 15km north of Ciudad Real and 4 km west of Fernan Caballero and only a few km from one of my favourite birding areas, the Vicario Reservoir, both of which are declared protected areas due to their richness of avian life. But more about that excursion when it happens in a few weeks. 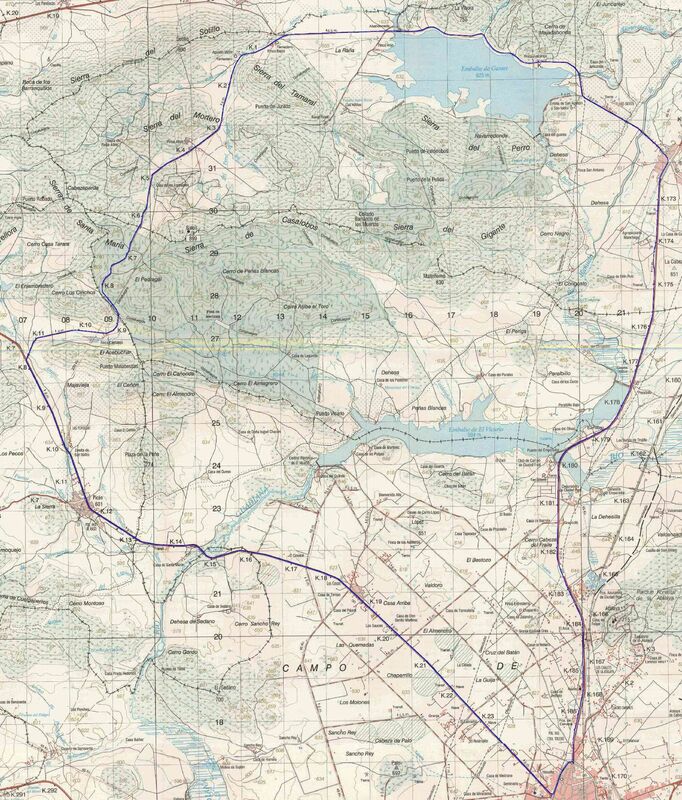 El Vicario and Gasset Reservoirs north of Ciudad Real. This post is not about birds though. It’s about much older things, millions of years old, things that lived in pre-historic oceans, or were formed in soups of molten rock or created over the eons by natural forces and somehow discovered by man whether by accident, in searches or by simply taking an interest in what is all around us. 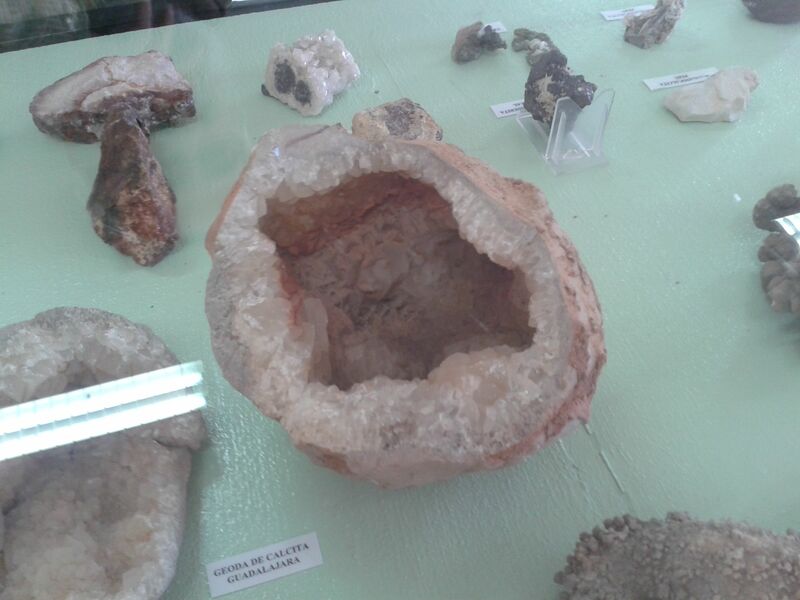 I’m talking about fossils, minerals and rocks. Geology is a subject very close to my heart. I am one of those people who slows down the car when driving through a cutting in a hill to look at the bedding and rock layers, I collect rocks and minerals and fossils. I have always been a geologist. I have collected pebbles and stones since I was able to walk, I studied geology in University College Galway and like most people who studied or work in geology, I have a collection. Mine is small though. I don’t have room for a huge collection. 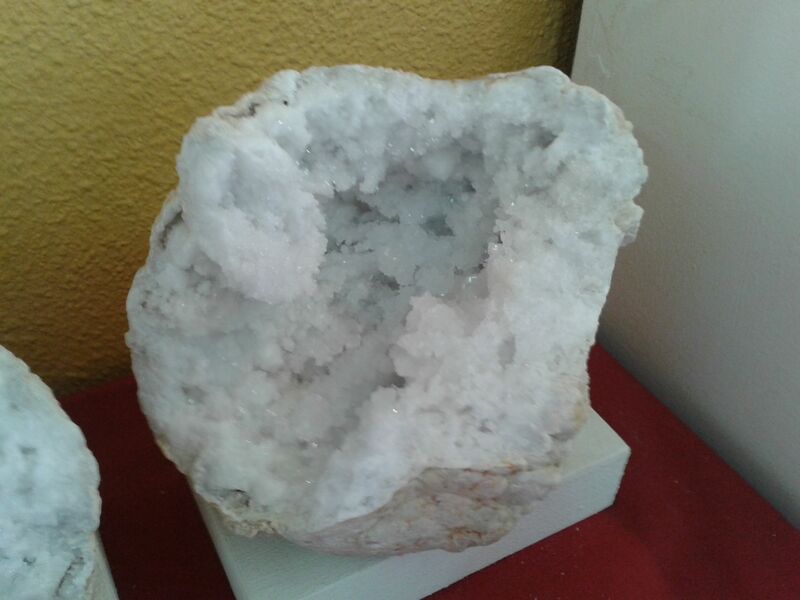 But in Fernan Caballero I did meet a man who also has a passion for rocks and minerals and who does have room for a small part of his collection. It very much reminded me of my favourite place in Galway, the Geology Departments old Victorian style museum, only the setting here was a bit more modern. 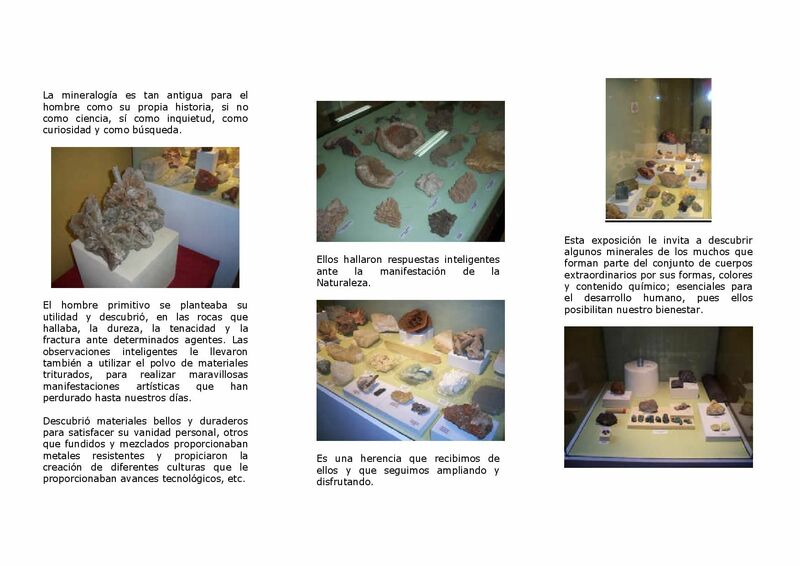 Antonio Pinés is one of those people who should have studied geology. It is his passion. He told me he made a mistake and studied arts instead. He is an affable and gentle man who is only too delighted to take you through his collection and share with you his vast knowledge of the genesis of the rocks and minerals he has and where they come from and the history of the local mines. He has collected his pieces for many years now and in the Centro Social Polivalente on Avda. Alcalde Macario Dorado 1, in Fernan Caballero he has the best of his pieces on display. And there are some showstoppers. I was speechless when I walked in. Many are museum pieces worthy of the Smithsonian Institute. So what has he got? 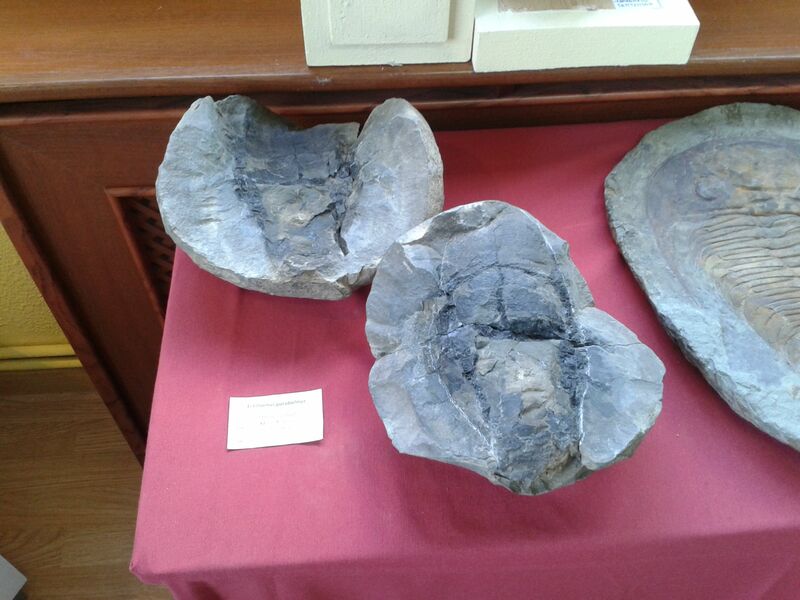 He has fossils as big as car wheels such as this ammonite next to some smaller ones. 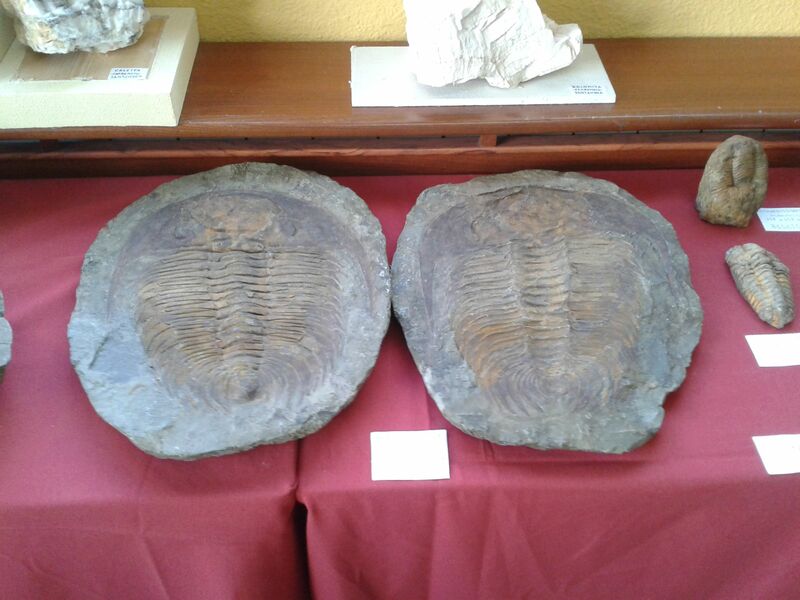 He has Trilobytes the size of the palm of your hand or as big as a large salad plate. He has geoids that would make your mouth water. Some Chalcopyrite with calcite crystals. 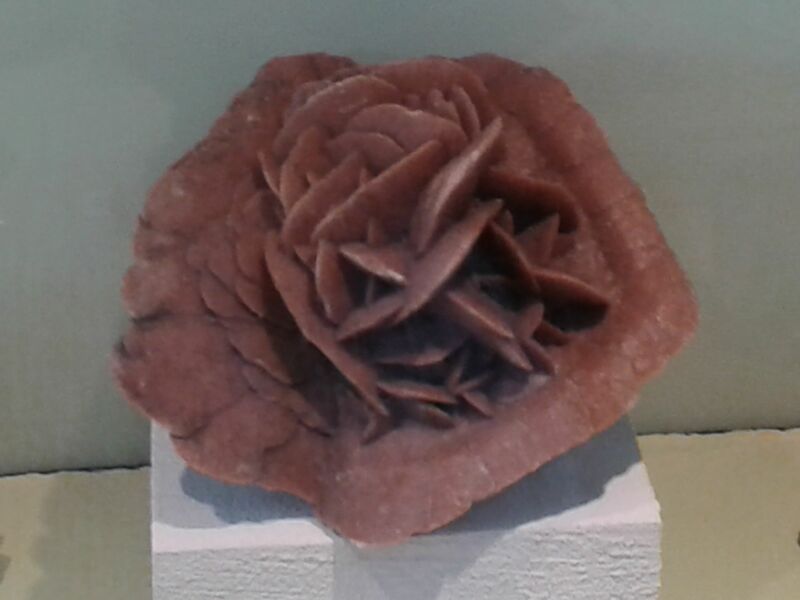 But for me the best in his collection are his Desert Rose pieces. I bought a piece many years ago in Namibia which is the favourite in my collection and is treated very gently. But his two pieces are stunning. The piece in the first picture was brought to him by a friend from Algeria and was much larger he says but broke in transit as his friend was unaware of the fragility of the rock. Even still it stand about 50cms tall at least with the ‘petals’ the size of a credit card. 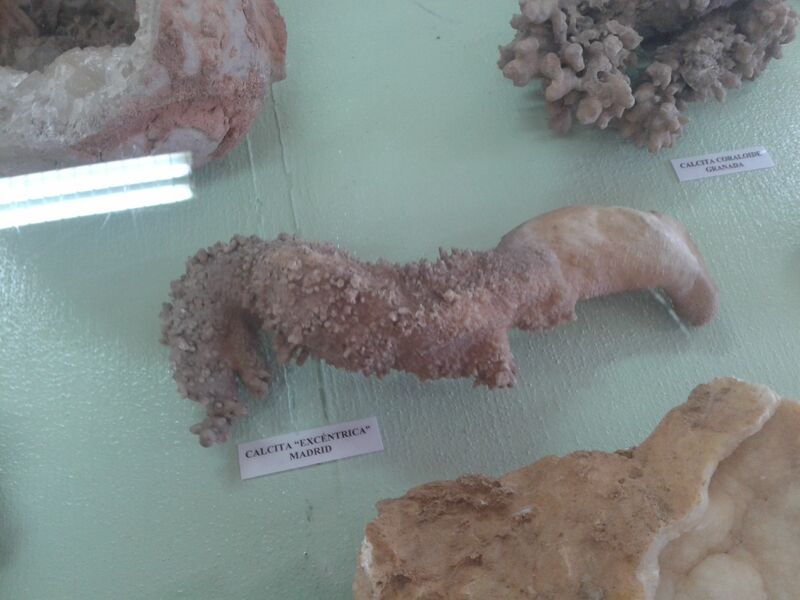 But size isn’t everything and it was this piece that really caught my eye, again another Desert Rose from Algeria which truly shows how it gets its name. 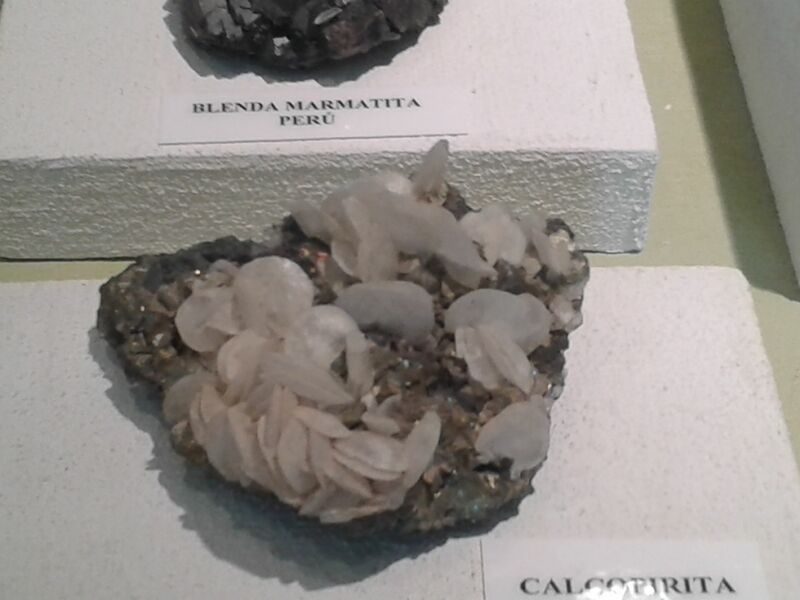 Many of the minerals and crystals in his collection are from the region around Ciudad Real and Castilla la Mancha, others from the four corners of Spain and from all over the world. 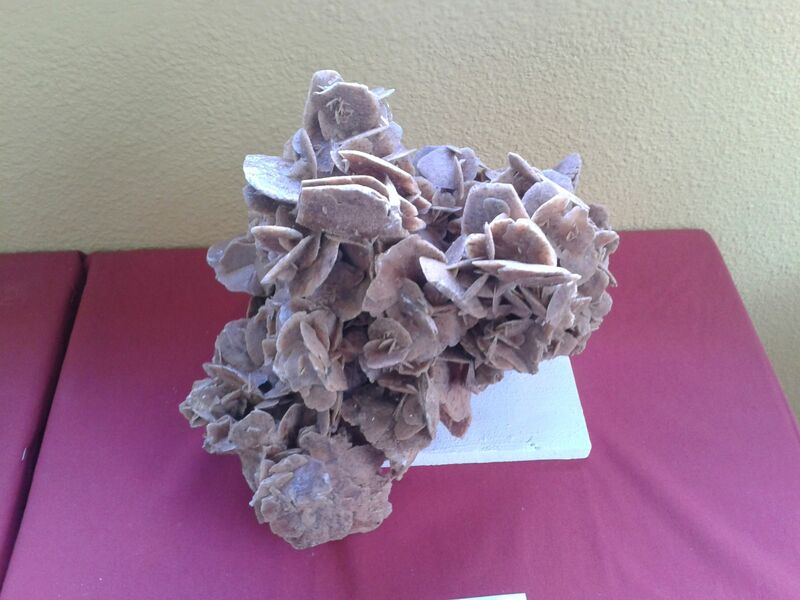 Castilla la Mancha has a rich geological history of volcanism and there are also many fossil beds in our local Montes Norte region. 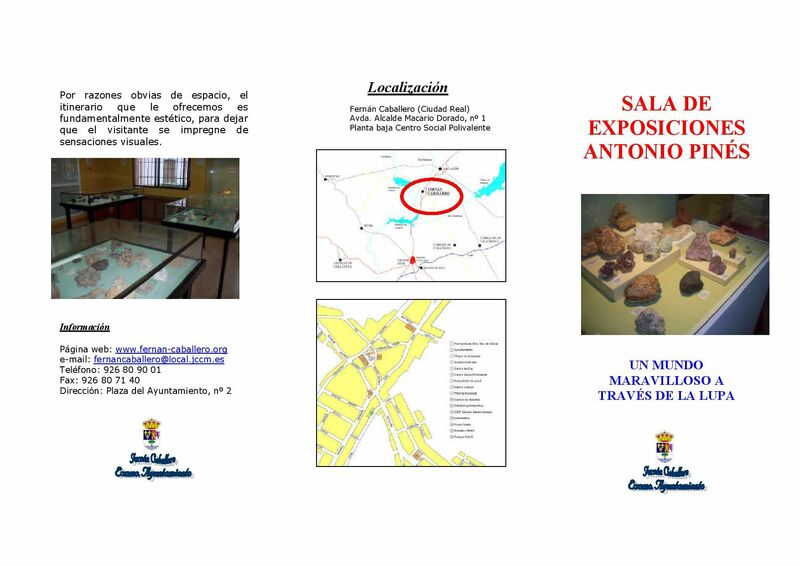 It was also an ancient mining region since Roman times and the mines have produced many fine pieces some of which can be seen in Antonio’s collection and other museums in the area. 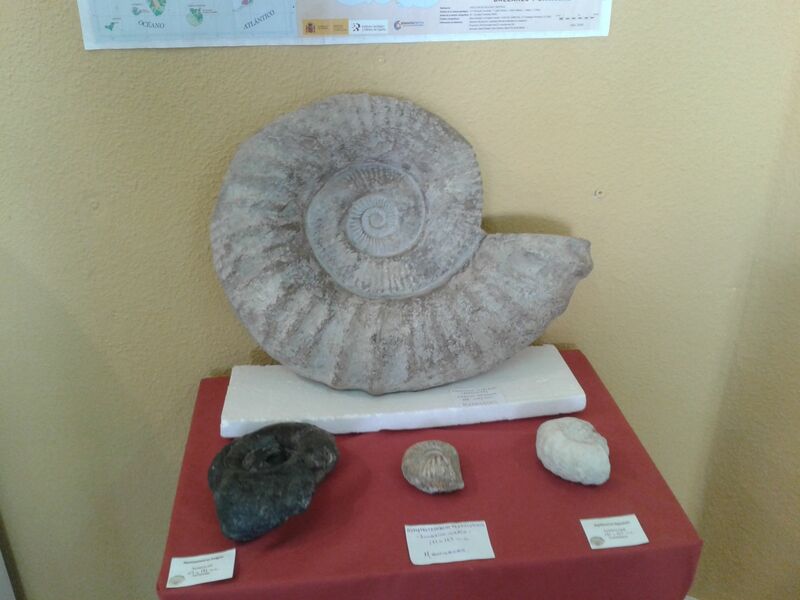 So again, it’s not just the birdwatching and wildlife viewing in central Spain that is of top quality but also the culture, people and geology of the region. Contact us now at Oretani Wildlife to book your birding tour in Spain and include the some of the fabulous geology of the region.